​Andrea is a City & Guilds qualified upholsterer who runs workshops from her private garden studio in central Altrincham, Cheshire. The philosophy of the workshops are to learn the traditional art of upholstery, in a relaxed yet informative way. Having started her training in 2003 under a number of tutors, including David James, Andrea passes on the skills and tips she has picked up from her tutors and from her teaching. She ran a busy upholstery practise in Manchester until moving to Vancouver in 2010 where she started teaching upholstery, and continued to teach upon her return to the UK in 2012. Plush Upholstery Workshops offers weekly morning classes,, on Monday Tuesday Wednesday and Friday during school terms. supported Zoe Glencross with the initial launch of her fabric interiors business. 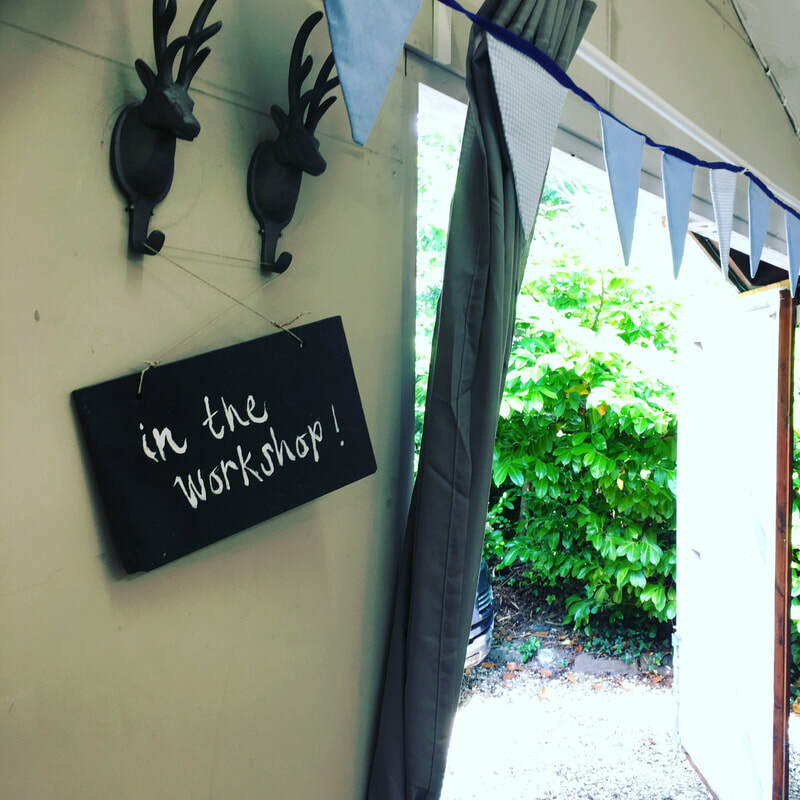 More than just a learning opportunity the workshops are a place to spend time with like minded enthusiasts and to leave behind the worries and stress of daily life. After a num,br of years learning and experience, many of those coming now have their own successful upholstery businesses, and we work together as a supportive and caring upholstery family. Whilst offering a full range of experience, Andrea's preference is for traditional skills and materials - sewing springs, using hair and traditional waddings and deep buttoning.